READING, Pa. (Mar. 15, 2013) – EnerSys® announced today that its ODYSSEY® battery is the official battery of Brian Deegan, short course off-road truck and rally car racer, freestyle motocross rider, and pioneer in action sports. As official battery sponsor, EnerSys will provide ODYSSEY® batteries and technical support to Brian Deegan for his Lucas Oil Off Road Racing Series (LOORRS) PRO 2 and PRO LITE race trucks and Global RallyCross and X Games rally car. The ODYSSEY® battery logo will appear on all vehicles, LOORRS and Rally driver suits and the LOORRS team semi-truck and hauler. Brian Deegan’s LOORRS No. 38 race truck will make its first appearance with ODYSSEY® battery by EnerSys® as the official battery sponsor at Firebird Raceway, Chandler, Ariz., on March 15 – 17. Connect with ODYSSEY® battery on Facebook and Twitter for more details and upcoming events. “I’m excited to continue to build our team with such strong partners like ODYSSEY® battery whose support is key to our team as we grow stronger. 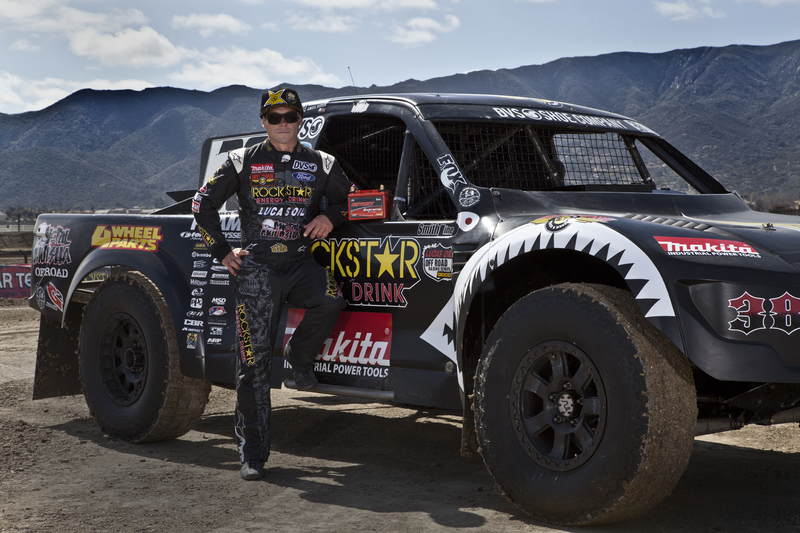 We’re looking forward to more wins and more championships,” said team owner and driver Brian Deegan.